In this volume Gordon McConville and Stephen Williams interpret the book of Joshua in relation to Christian theology, providing exegetical commentary and reflection on an often-troubling book that nonetheless plays a key role in the biblical drama of salvation. 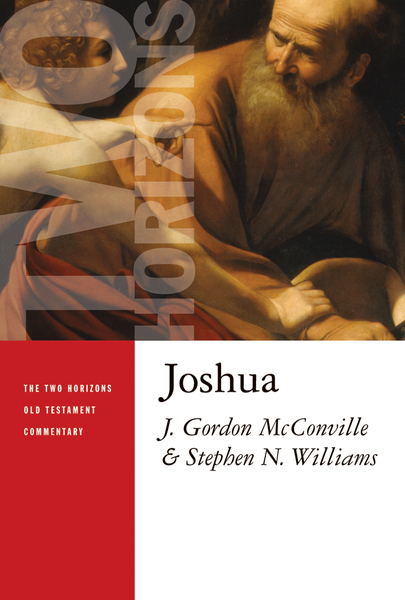 McConville and Williams address significant theological themes in Joshua, such as land, covenant, law, miracle, judgment (including the problem of genocide), and idolatry. They posit that the theological topics engaged in Joshua are not limited to the horizons of the author and first readers of the book, but that Joshua is part of a much larger testimony that concerns readers yet today. J Gordon McConville is professor of Old Testament studies at the University of Gloucestershire, Cheltenham, England. Stephen N. Williams is professor of systematic theology at Union Theological College, Belfast, Northern Ireland. His other books include The Shadow of the Antichrist: Nietzsche's Critique of Christianity, for which he won a Christianity Today Book Award.